The orchestrated organization of epigenetic factors that control chromatin dynamism, including DNA methylation, histone marks, non-coding RNAs (ncRNAs) and chromatin-remodeling proteins, is essential for the proper function of tissue homeostasis, cell identity and development. Indeed, deregulation of epigenetic profiles has been described in several human pathologies, including complex diseases (such as cancer, cardiovascular and neurological diseases), metabolic pathologies (type 2 diabetes and obesity) and imprinting disorders. 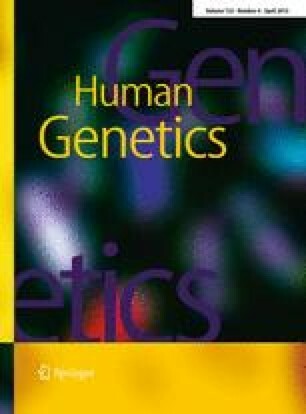 Over the last decade it has become increasingly clear that mutations of genes involved in epigenetic mechanism, such as DNA methyltransferases, methyl-binding domain proteins, histone deacetylases, histone methylases and members of the SWI/SNF family of chromatin remodelers are linked to human disorders, including Immunodeficiency Centromeric instability Facial syndrome 1, Rett syndrome, Rubinstein–Taybi syndrome, Sotos syndrome or alpha-thalassemia/mental retardation X-linked syndrome, among others. As new members of the epigenetic machinery are described, the number of human syndromes associated with epigenetic alterations increases. As recent examples, mutations of histone demethylases and members of the non-coding RNA machinery have recently been associated with Kabuki syndrome, Claes-Jensen X-linked mental retardation syndrome and Goiter syndrome. In this review, we describe the variety of germline mutations of epigenetic modifiers that are known to be associated with human disorders, and discuss the therapeutic potential of epigenetic drugs as palliative care strategies in the treatment of such disorders. This work was supported by grants from the European Research Council (Advanced EPINORC), the Fondo de Investigaciones Sanitarias (PI08-1345 and PI10/02267), the Ministerio de Ciencia e Innovación (SAF2011-22803), the Fundació La Marató de TV3 (111430/31), European COST Action TD09/05, and the Health Department of the Catalan Government (Generalitat de Catalunya). M.E. is an Institució Catalana de Recerca i Estudis Avançats Research Professor.